Poaching, human interference and more have led to the near-extinction of these five animals. 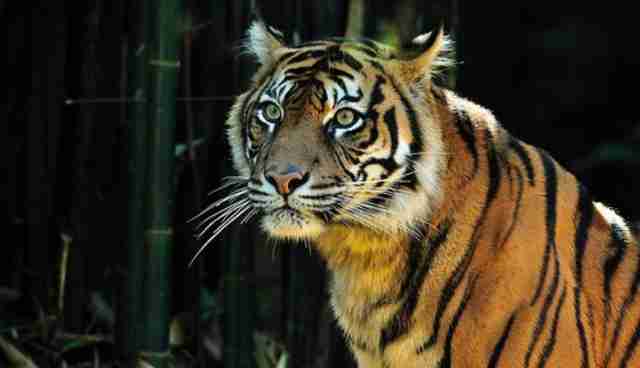 After the extinction of Javan and Balinese tigers, the Sumatran tiger is the last surviving species in Indonesia. 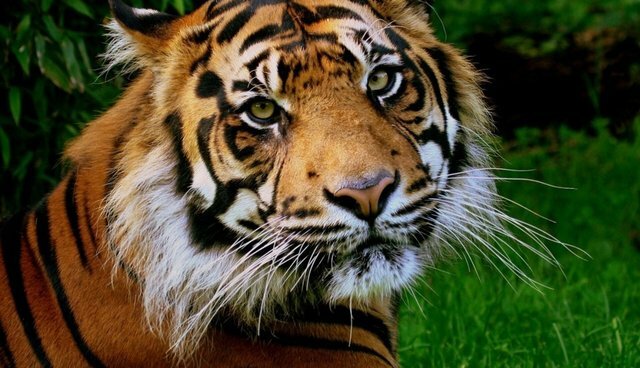 Critically endangered by rampant habitat loss, Sumatran tigers are also losing a war with poachers (which account for 78% of annual Sumatran tiger deaths) looking to make a black market profit off their use in traditional Asian medicine. This species is finding itself increasingly cordoned off into small, isolated patches of national parks on the island of Sumatra. Through the Tigers Forever program, Panthera has teamed up with the Wildlife Conservation Society with the goal of increasing tiger populations in India, Myanmar, Malasia, Indonesia, and Laos by 50%. Here you can donate to the project, which has made enormous strides since its initiation in 2006. The Cross River gorilla looks similar to its more common (yet still critically endangered) cousin, the Western Lowland gorilla, with differences in skull and tooth measurements providing distinction. This species inhabits lowland forests in Nigeria and Cameroon in an area about twice the size of Rhode Island. 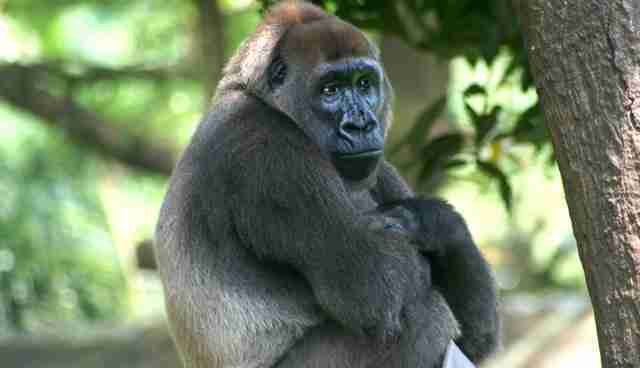 In addition to the dangers posed by human encroachment upon their small ecosystem, the Cross River gorilla has also been decimated by poaching, which has since been made illegal in Nigeria and Cameroon but is laxly enforced. The Wildlife Conservation Society is working to improve enforcement of poaching laws, secure the narrow range that makes up this species' habitat, and has initiated numerous research initiatives to better understand these gravely endangered gorillas' relationship with their ecosystem. You can read more about their efforts here. 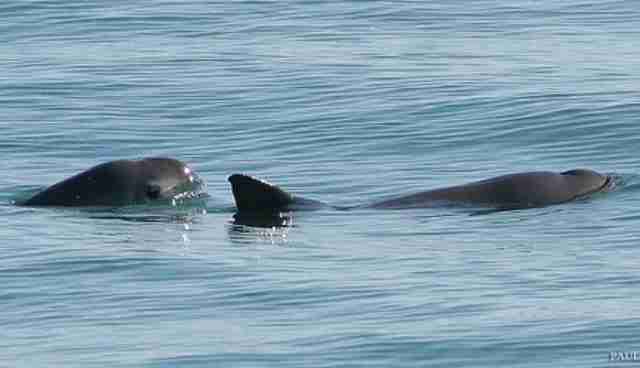 The vaquita was first discovered in 1958 in the Gulf of California. They are the world's smallest porpoise and can be identified by the large dark rings around their eyes. With a population likely under 200 individuals, vaquita are the most endangered cetaceans (an order that also includes dolphins and whales) in the world. The prime culprit for their dire situation is gill nets, which are frequently used by commercial fisherman who discard drowned vaquita as "by catch." Cetos, a marine animal research non-profit, has established The Vaquita Recovery Fund to aid in the research of this species and the conservation of their small habitat. With a single horn of up to 10 inches, this smaller subspecies of rhinoceros is differs from its more commonly recognized cousins due to its smaller head and fewer skin folds. The last Javan rhino in Vietnam was poached in 2010. Today, the only remaining population of this species resides in Ujung Kulon National Park in Java, Indonesia. In addition to risks of poaching, inbreeding, disease, and the invasive plant species that are overtaking the Javan rhinos' food supply, this National Park lies in the shadow of the Anak Krakatau volcano and is highly vulnerable to tsunamis. 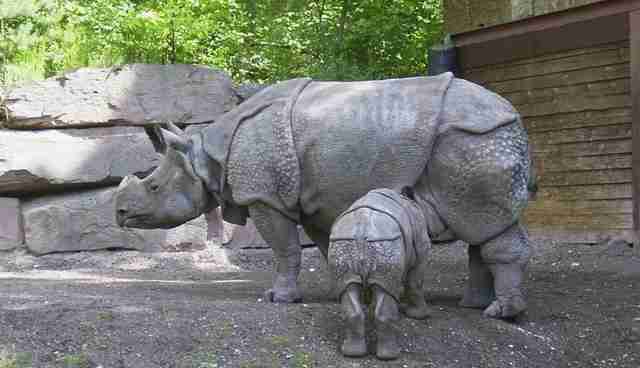 One natural disaster in the region could completely wipe out what remains of the Javan rhino. The World Wildlife Fund is aiding in the species rehabilitation at the Ujung Kulon National Park in hopes of cultivating a habitat that will support a much larger population of the species. The Amur leopard is unique in that it has adapted to live in the temperate forests of easternmost Russia. This rare and magnificent subspecies of leopard lives 10-15 years in the wild and up to 20 in captivity and is capable of leaping over 19 feet horizontally and 10 feet vertically. They have been clocked at speeds as high as 37 miles per hour. 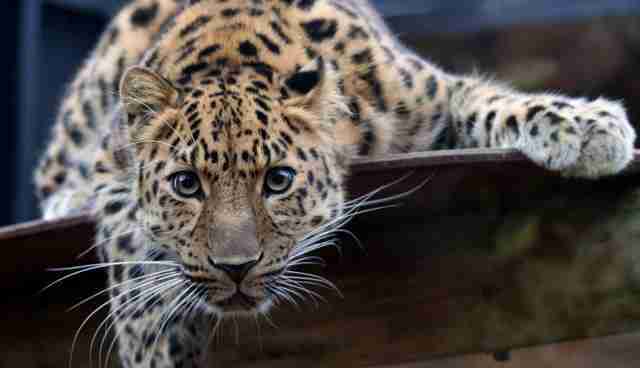 Also known as the Far East leopard, Manchurian leopard, or Korean leopard, the Amur leopard has been poached nearly to extinction for its beautiful coat. Population recovery is frustratingly hampered by over-hunting of the deer species that make up their food source. The Amur Leopard and Tiger Alliance (ALTA) has been established to raise funds for implementing agencies working to save these two species of big cat. 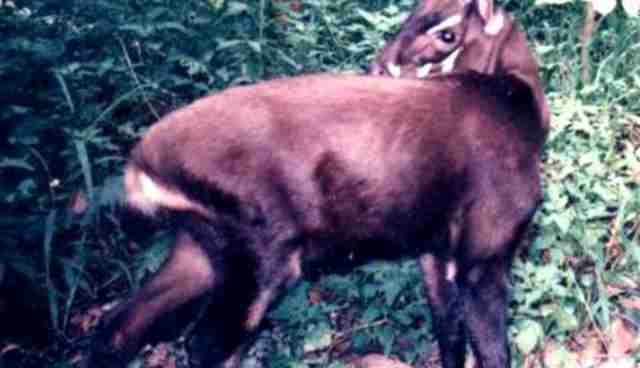 Perhaps the greatest tragedy of the saola's placement on this list is that it was only discovered in 1992 and has been sighted so rarely (only four times in the wild), that it has earned the nickname of "The Asian Unicorn." It was the first large mammal discovery in more than 50 years, yet little is known about the saola and none are currently in captivity. saola are found only in the Annamite Mountains of Vietnam and Laos. One of the most monumental zoological discoveries of our lifetime may have come too little too late, as the rarity of the saola has become it's defining feature -- making study through observation nearly impossible. Their population is unknown, but is estimated to be a maximum of a few hundred and a minimum of a few dozen. The saola face the very real threat of extinction due to deforestation, accidental catches in hunting snares intended for wild boar, and poaching. A November 2013 Saola sighting was caught on camera for the first time since 1998. The rare encounter represents a moment of cautious optimism for the World Wildlife Fund, which has helped Vietnamese forest guard patrols remove 30,000 snares and dismantle 600 illegal hunting camps since 2011. You can donate to the organization's international conservation efforts here.